Me: Let’s celebrate with tomato wine. This is how the conversation would go, wouldn’t it? I have yet to find a person whose heard of tomato wine before I tell them about our visit to Omerto, the world’s only producer of tomato wine. We certainly didn’t know it existed until we arrived in Baie St. Paul. It looks like white wine (tomatoes have no tannins), and it tastes incredible. 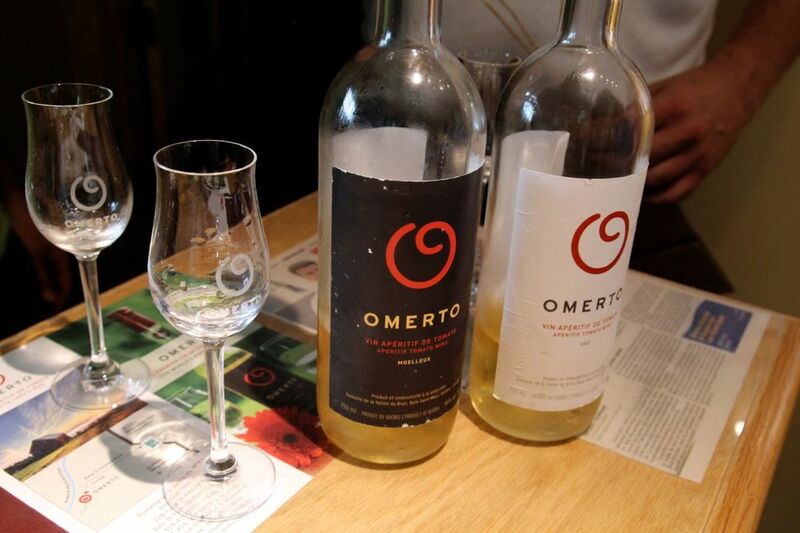 The man behind Omerto is Pascale Miche of Belgium; his great grandfather had an excess of tomatoes during WWI, and turned them into wine to avoid food waste. The recipe has been passed down through the generations, and finally commercialized by Pascale in Charlevoix. 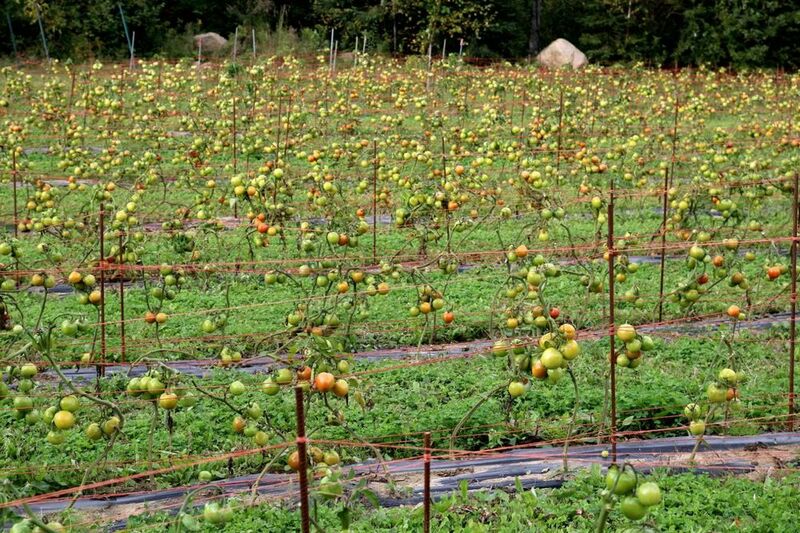 In his large backyard, he grows six different kinds of heirloom tomatoes, chosen from dozens of varieties. While his organic tomato ‘vineyard’ doesn’t look large, it’s home to 5,200 plants, each yielding 3-4 kilos and resulting in 34,000 bottles of wine a year. 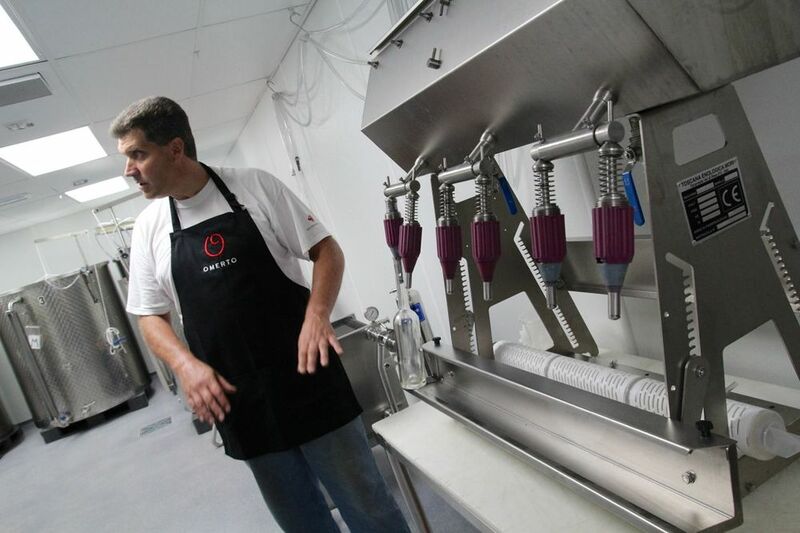 Two main wines are produced, each 16% alcohol, and each using a blend of three different tomato varieties. The acidic Omerto Sec was somewhat like whiskey on the nose, and tasted of lime and grapefruit – similar to a Sauvignon Blanc. Never ever would we have guessed it was made with tomatoes, and apparently the sommeliers that have tried it haven't been able to tell either. The second wine, the Omerto Meulleaux, was fruitier, more like a white porto, with orange, melon, and just a hint of sweet cherry tomatoes to it. It's recommend with strong cheeses, foie gras, and seafood, especially scallops. After the tasting, we strolled amongst thousands of tomatoes, and looked into their small but productive wine-making facility. All-in-all, we were pleasantly surprised to discover we actually love tomato wine, and are proud of the fact it’s produced in Canada. Considering our national cocktail is the Caesar, it makes sense, doesn’t it? if your New Year's resolution was to drink more Canadian beverages, place your order for tomato wine here.